The theme this week is – "Autumn-Inspired "
This week you're challenged to design and create a signature to look like ‘Autumn-Inspired ’. 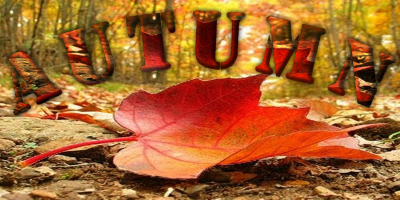 Use any Autumn elements to create an Autumn-Inspired sig. If you want to do a pumpkin, fine - that's Autumn to me! The deadline for entries is 7:00 pm (UK time) 2:00 pm (DST) on Saturday, Nov 3rd, 2018. Original Haiku poem written by me in 1976 for an English class.